TALLAHASSEE, Fla. – (RealEstateRama) — Sarah Herring grew up in her family’s home near the bay in Port St. Joe, was married in the backyard and now owns the property mortgage-free. Hurricane Michael’s winds tore off the roof and ripped up the walls. The storm surge flowed into the house. Years ago, after her father died, her mother wanted to drop the homeowner’s and flood insurance policies on the property. “We would not let her,” Herring said. Because of that decision, Herring can rebuild. She received an advance payment from her flood insurance policy that enabled her to relocate temporarily while her house is rebuilt. Flooding is the most common natural disaster, costing billions of dollars in damage every year. Homeowner’s insurance does not cover flood damage. Nearly a third of all flood insurance claims are for properties outside special flood hazard areas. In Florida, 1,770,450 National Flood Insurance Program (NFIP) policies are in effect, providing coverage of $441 billion. Florida has more NFIP policyholders than any other state. NFIP insurance policies pay up to $250,000 for a residential structure and $100,000 for personal property. Renters can insure personal property for up to $100,000. Policies are available in communities that participate in the NFIP program, agreeing to adopt and enforce flood-damage prevention ordinances. More than 22,000 communities in the U.S. participate. Homeowners and renters can buy flood insurance by contacting their insurance company or agent. For more information, visit www.floodsmart.gov. For an agent referral, call 800-427-4661. If you use video relay services call 711 or TTY 800-462-7585 or visit www.fema.gov/national-flood-insurance-program. For a list of resources available to individuals and businesses affected by Hurricane Michael, visitwww.floridadisaster.org/info. 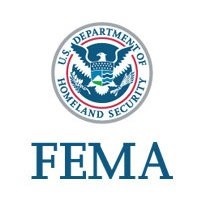 Follow FEMA and the Florida Division of Emergency Management on Twitter at @FEMARegion4 and @FLSERT.You may also visit FEMA and the Division’s Facebook pages at Facebook.com/FEMA andFacebook.com/FloridaSERT.